Where can you find easy simple ways to reduce your carbon footprint and save money? Today the term reducing your carbon footprint is popular in many business as well as personal circles. It is a term used when talking about corporate social responsibility strategies in the business world and used in communities that embraces the concept of sustainability where sustainable living is appreciated for its broader environmental and social benefits around the world. For instance, when it comes to reducing your carbon footprint the location or geographical location does matter, because any type of activity such as switching to solar energy done in any part of the world will have a global impact and it can be experienced anywhere in this world. The reverse is true, any trees cut down in any location anywhere in the world will also have the same effect. Therefore, when it comes to reducing one’s carbon footprint, it has a global impact and that’s why issues like climate change are being dealt with at the global level. Hence, any actions done in any country are of utmost importance because of the cumulative effects that such actions will have in the long-term when it comes to sustainability and the issues that future generations will have to deal with. Using switchingtosolarpv.com as a platform to raise awareness about solar energy, any capacity additions resulting to switching to solar energy will have the same effect and in the long-term these effects will be experienced in any part of the world. Since the life-span of solar panels is anywhere between 20 and 25 years; solar energy adoption can help you to reduce your carbon footprint over its life-span as long as your system is running and well maintained. Going solar is one of the best ways to reduce your carbon footprint because once installed, it requires very minimal maintenance to run for up to or over 20 years while the money savings are also cumulative in nature and thus it is a win-win situation that social, environmental and economic benefits. It is such impact that keeps us motivated and when and anytime an individual or business decides to go solar using online solar tools that we recommend here at switchingtosolarpv.com these figures will continue to go up. Using these online solar tools, users can make informed choices about their carbon footprint as well as economics of going solar making it easier for them to quickly go solar because the information provided to them is from many and unbiased sources. From a sustainability perspective, the businesses that go solar will help to build their brands as consumers continue to become increasingly aware about corporate social responsibility initiatives and by doing such; these companies will set themselves apart from their competition. Using solar as an example for corporate social responsibility is possible and it can take adoption of solar to increase the above numbers i.e. have more trees planted, have more cars off the road and reduce your carbon footprint through avoided carbon emissions and so on. These environmental benefits will have even a wider impact to reduce health related issues from GHG emissions while contributing to social issues such as job creation. There are various corporate social responsibility examples and going solar is one of them and probably one of the low hanging fruits that businesses or individuals could tackle today and help them to move towards the sustainability path. Therefore, to answer this question: where can you find easy simple ways to reduce your carbon footprint and save money? going solar is one good low hanging fruit that can help you reduce your carbon footprint while helping to save you money. 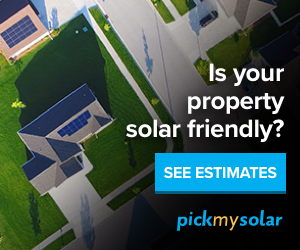 By using the online solar tools we recommend here, you can actually determine what are the savings and your carbon footprint when you decide to go solar. In addition to going solar, switchingtosolarpv.com also promotes greening the office initiatives and sustainable living practices that can help you switch to greener products such as 100% recycled paper that will help to save trees in the long-term and help your business reduce its carbon footprint. Depending on the amount of paper your business uses, the more impact you would have in switching to 100% recycled paper which translates to how many trees you will have saved by your adoption. Below we have listed some links from our partners to help us in contributing to more good impact in the environment and for sustainability reasons. That is! Save more paper by using 100% recycled paper and help to reduce your carbon footprint even more! Make Earth and your wallet happy! 100% recycled paper products at amazing prices available at The Green Office! Go solar with EnergySage to save you money and reduce your carbon footprint in the long-term. Switch to energy-efficient products. Save money and save your carbon footprint. Energy Efficient and Green Tech for your office or household at great prices. The Green Office has hundreds of green electronics, accessories and more! Thank you for stopping by and we look forward to reading your comments below.